In this article, we will show you how to create a natural sounding vocal sample for the lyric "baby". This lyric is frequently used in the songs of genres like EDM, hip-hop, and R&B. First, let's check out a tutorial video. Download the Before / After VSQX file. We have prepared Before (without any effect) / After(completed) VOCALOID Sequence files used in this article. Download the sample VSQX file for this, and import a VSQX file into your VOCALOID4 Editor or VOCALOID4 Editor for Cubase. * In the VSQX file we are distributing on this page, we set the singer as CYBER SONGMAN. If CYBER SONGMAN is not installed on your computer, when you read this VSQX file, it will be converted to the installed singer on your computer. If CYBER SONGMAN is not installed on your computer, switch to singer to the other VOCALOID English voice bank you have. If you are using the VOCALOID 4 Editor, a dialog about singer change will be displayed when reading the VSQX file. Click OK and switch to the other English VOCALOID singer with TRACK EDITOR or MUSICAL EDITOR. 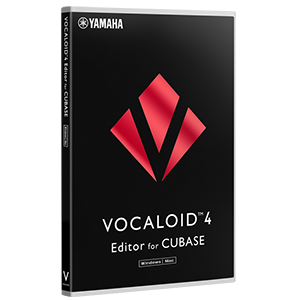 * The VSQX file distributed on this page was produced for VOCALOID 4 Editor, VOCALOID 4 Editor for Cubase for PC. Please use it on the computer on which one of the products is installed. The older version of the VOCALOID editor product and Mobile VOCALOID Editor do not correspond to the parameters used in this VSQX file, so the effect can not be reproduced. This is a software to edit VOCALOID singing voice. You must use with VOCALOID3 or VOCALOID4 Voice Banks. A basically VOCALOID4 English Male Voice Bank. A database of actual male natural American English singing voice. For this video, we are using the above listed VOCALOID4 products. However, you can create the same kind of vocals with any other English VOCALOID4 Voice Bank, by following the same instructions. * You can also use VOCALOID4 Editor. 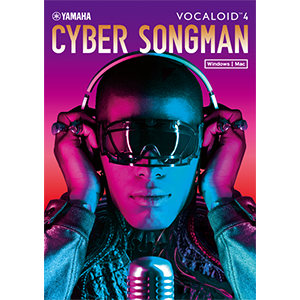 * We are using VOCALOID4 Library CYBER SONGMAN in this article, but even with other VOCALOID4 Voice Bank products you can make a harmonized vocal in the same way. The VOCALOID software products used in this article (downloadable versions) can be purchased at the VOCALOID SHOP. If you do not have this Starter Pack yet you can buy it from below banner.